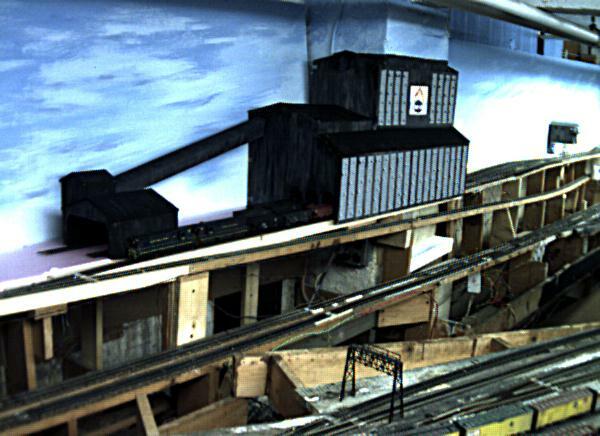 We're continuing to build our model of the Huber Colliery near Wilkes-Barre, PA. The folks there were more than gratious to show us around and let us get some great pictures. Here's the GSC version under construction. 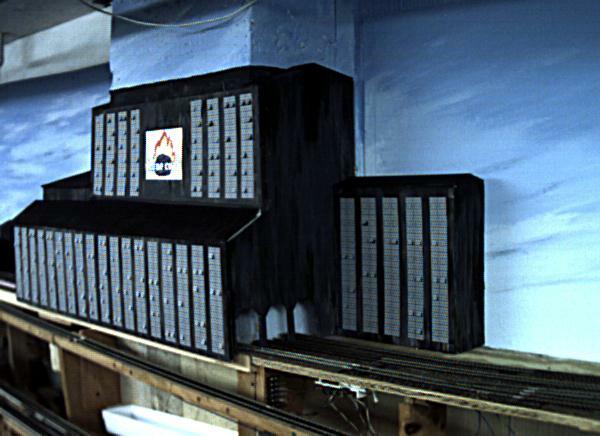 Now that some of the outlying buildings are appearing, the breaker is starting to shape up. The backdrop was repainted to spruce it up a little bit too. Here's a view from the yard side. What a difference a little paint and a few out building make. 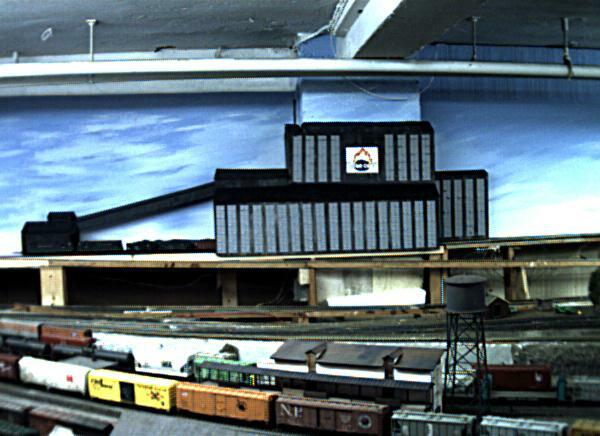 Here's the same angle as HUBER20.JPG only we put a train in the shot to show the scale of the building. Boy it's big! Finally a head on shot of the whole comples. The train is still on the loading track. 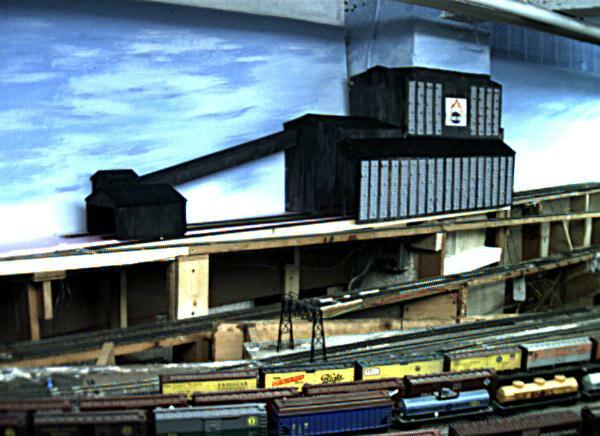 Just a little more work on the colliery and we'll be able to put the scenery around it back in.